If you are an Arkansas ed-wonk like we are, you couldn’t have missed the release of the benchmark scores this week. According to the ADE Press Release, student scores continue to improve in most grade levels across the state (however, the score improvements do seem to have plateaued in grades6-8). In any event, in Arkansas, as in most states with annual criterion-based exams, the test scores do continue to rise year after year (many have voiced concern that student growth on these exams across the US may be due to exam familiarity rather than to actual gains in learning). 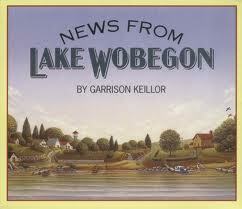 We are reminded of Lake Wobegon, where all the women are strong, then men are good-looking, and the children above average!! After the good news on test scores was reported in the Arkansas Democrat Gazette this week, we received a phone call from a local reporter asking a straightforward question — how are our local districts doing? What an obvious question! And the OEP had surely missed the boat by not helping our readers try to answer such an obvious question. If you chose to wade through the ADE data to find summary data for your school or district, you would find grade-by-grade data for each building and district — quite detailed, but not too helpful. Combining all of the individual grade-level scores into an overall score for each district. Assigning each district a GPA based on the number of students that are advanced (4.0), proficient (3.0), basic (2.0), and below basic (1.0). Taking into account the intensity of disadvantage each child faces by creating 3 distinguishing categories on poverty: Free, Reduced, or Neither. Presenting statewide and regional averages for many of these indicators. This enables constituents who don’t love excel sheets as much as we do to quickly glance at the data and get an idea how the local schools are doing (And if you do like excel sheets, follow this link to download the data yourself!). We hope you enjoy and will let us know what information you would like us to analyze next.